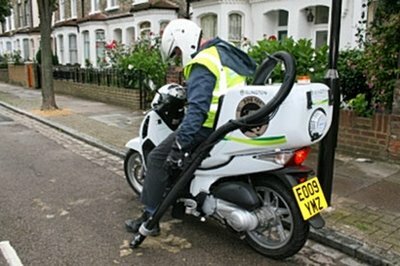 Little did Honda knew that one of their 125cc scooters will end up a tool for washing dog filth off the streets of London, but this picture says it all. GB imported the Honda street washing machine from France; it seems that the idea of such a utility vehicle was first put into practice back in the Eighties in Paris. A water vacuum system and a 25-litre box set it apart from its standard siblings, but also the £12,000 ($19,981) price. Just make sure you don’t confuse it with a pizza bike because that can kill your appetite. Getting as fast as possible to the scene of a fire can sometimes prove as challenging as extinguishing the actual fire. That is when a Firexpress BMW R1200RT comes in handy simply because of the extremely reduced dimensions, compared to those of the fire brigade trucks. Capable of carrying a modest (also compared to the big trucks) 13.2 gallons of water or foam, the system works by dispersing that quantity in microdroplets and so continues spraying for more than two minutes. The low-speed stream reaches as much as 15 feet while, fully loaded, the bike manages to achieve a top speed of 90 mph. 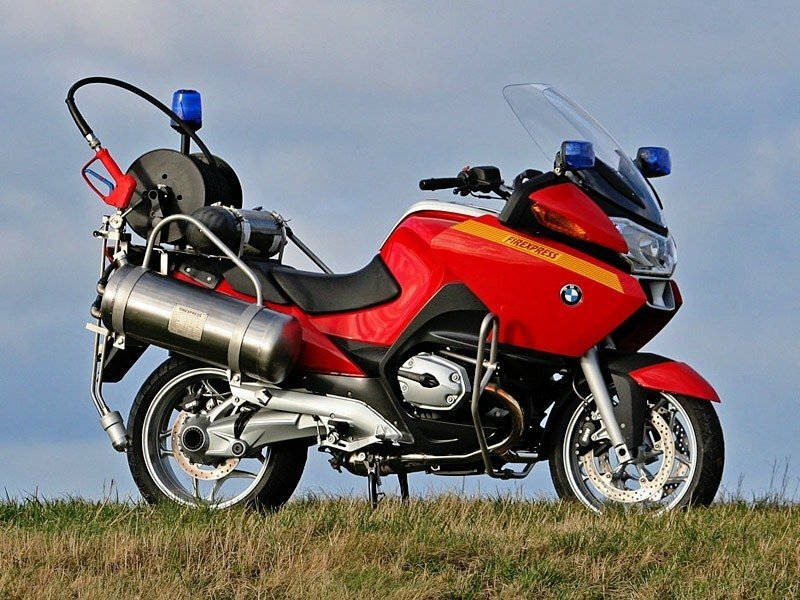 Several such BMWs are currently in use in Greece and the system is widely spread in the rest of Europe and in Asia, where it fits various big motorcycles and ATVs. See a demonstration video after the break. 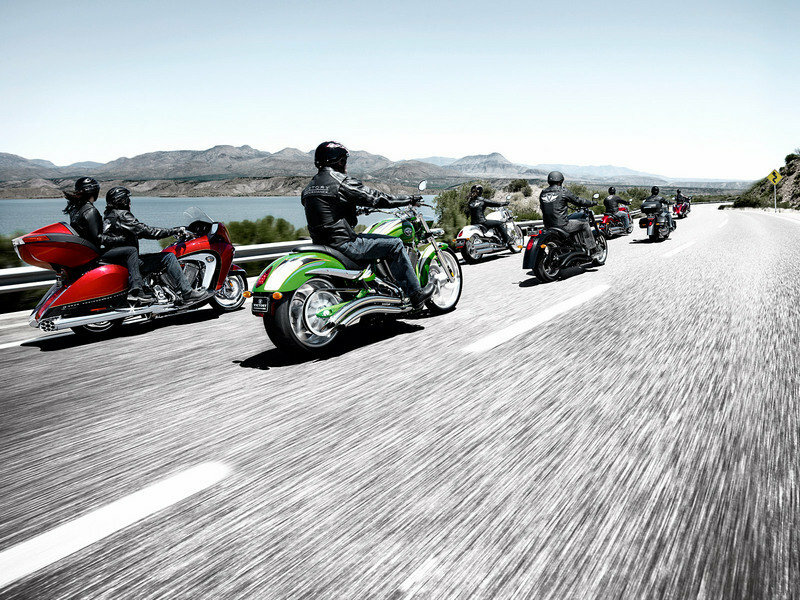 Polaris Industries Inc. (NYSE: PII) unveiled its product offerings for 2009, highlighted by the company’s biggest product launch in All-Terrain and Side-by-Side vehicle history, and its celebration of a decade of success in the motorcycle industry. In Japan, when it comes to towing cars, things tend to look extremely innovative. Ok, but this is the motorcycles section, you’ll say and I couldn’t agree more. That is why I would like to share with you the towing Honda Goldwing, a specially adapted piece of machinery which will hook you up with an illegal parking ticket if you’re traveling to Japan and take the bad habits with you. Who knows, maybe it would even be present around the globe. 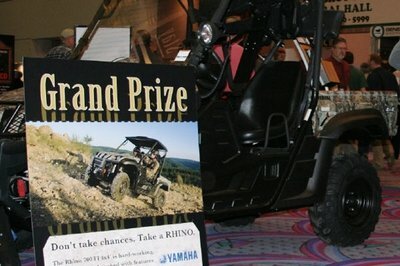 In its ongoing support of the outdoors lifestyle and hunters across the country, Yamaha Outdoors announced a new Hunting Conservation sales program and gave away a Rhino 700 FI Side-by-Side (SxS) vehicle at the 30th Annual SHOT Show.